"For the young generation to grow up to become humane, it is important that the generation is exposed to different societies. It is necessary to show them differences in the lifestyles that people around the world have. Children need to be exposed to various social aspects of mankind and made to understand the different aspects of social behavior. It is necessary to make these children realize their duty towards society. Teaching them Social Studies serves this purpose. Social Studies aims at creating educated individuals who can grow up to be responsible citizens of their nation. The study of Social Studies intends to build creative, caring and courteous human beings out of children. Teaching our children Social Studies increases the possibility of their becoming knowledgeable individuals. Teaching them Social Studies increases chances that they will adhere to ethical and moral values in their life. The study of Social Studies is necessary, if we want a brighter future for our society." ABC-CLIO Solutions is an online resource that can be used for both Language Arts and Social Studies. The Solutions provides a complete standards aligned e-textbook, varied points-of-view presented by experts and scholars from the field, and an extensive research library that enables deeper and broader exploration of key topics of study. Furthermore, our subscription includes access to the Support Center which contains lesson plans, videos, interactive wizards, and more! When accessed in district, teachers and students can log on without a username and password. To access the teacher and student versions outside of the district computers, please contact the Social Studies Department for that information. This annual competition has consistently delivered excitement and pride for Paterson every year. For the past two decades, Paterson has secured its reputation as a district that performs exceptionally well at National History Day competitions. We want to express how proud we are of our students’ outstanding achievement! Background: In 1994 the legislature voted unanimously in favor of an act requiring education on the Holocaust and genocide in elementary and secondary education and it subsequently signed into law by Governor Whitman. The law indicates that issues of bias, prejudice and bigotry, including bullying through the teaching of the Holocaust and genocide, shall be included for all children from K-12th grade. Because this is a law and in Statute any changes in standards would not impact the requirement of education on this topic in all New Jersey public schools. Purpose: The New Jersey Commission on Holocaust Education, recognizing the importance of ongoing discussion, debate and reexamination of its purposes, programs and activities, reaffirms the significance of Holocaust and genocide studies as an integral aspect of public education in the state of New Jersey utilizing content drawn from a broad range of academic disciplines, interdisciplinary fields of study and the state standards. To that end, the Commission adopts the following as a foundation for its ongoing work. f. preserve and examine the legacy of the Holocaust and genocides as a form of public remembrance in an effort to combat efforts to deny historical truths and to honor the memory of survivors and their cultural legacies. The core mission of the New Jersey Commission on Holocaust Education is to promote Holocaust education in the State of New Jersey. On a continual basis, the Commission shall survey the status of Holocaust Education; design, encourage and promote the implementation of Holocaust and genocide education and awareness; provide programs in New Jersey; and coordinate designated events that will provide appropriate memorialization of the Holocaust on a regular basis throughout the state. The Commission will provide assistance and advice to the public and private schools and will meet with county and local school officials, and other interested public and private organizations, to assist with planning courses of study on the Holocaust. The Holocaust Commission has provided links to various resources that can be used in the classroom, consisting of videos, primary source materials, songs, poems and readings related to Holocaust education and genocide. In 2002 the Amistad Bill (A1301) became law in New Jersey. The Amistad Bill calls on New Jersey schools to incorporate African-American History into their curriculum. The Amistad Commission ensures the implementation of materials and text that integrate the history and contributions of African-Americans and the descendants of the African Diaspora. The Amistad Web-based curriculum provides an interactive textbook infusing the vast contributions and experiences of African Americans for all teachers and students. The Amistad Web-Based curriculum can be access by using the website link below. The Amistad commission has created a list of book titles that reflect African and African-American characters in positive, authentic ways. The book list attached will assist you enrich your home and classroom libraries in the primary grades. The Amistad Web-Based curriculum can be access by using the website link below. We are calling on all Paterson Public School Seniors to attend The Malcolm Bernard Historically Black Colleges & Universities Week. This event will take place between on November 17th in Paterson. For more information and registration please review the attached flyer or use the link below. Attention all Seniors! Don't miss the opportunity to apply for the NJ Rising Scholars program. Student’s chosen for the Rising Scholars Program will receive an award certificate, a comprehensive guide of available HBCU scholarships, the opportunity to meet recruiters and receive on-site admissions with the opportunity to have fees waved. For more information and registration please review the attached flyer or use the link below. 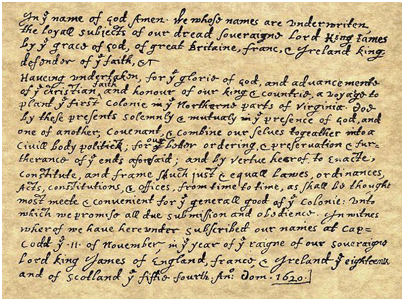 The Mayflower Compact was the first agreement for self-government to be created and enforced in America. Below are some resources to assist with using this primary source document for instruction within the classroom. The New Jersey Department of Education has not mandated the implementation of a 9/11 curriculum for their districts, however, a curricula has been developed. Through the work of teachers within the state, in collaboration with Holocaust Education, and the National September 11 Memorial and Museum, teachers have created a list of resources, curriculum, and standard alignment for all to use. the New Jersey Department of Education Website.